Episode 142 is live! This week, we talk with Marsha Warner in Portland, OR. 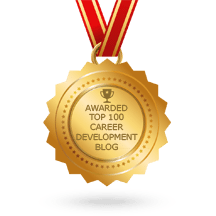 Marsha is a career coach and full-cycle recruiter who collaborates with people to design a career that brings reward, meaning, and delight to life. Her clients range from college students to mid and senior-level executives. On today’s episode, Marsha shares how emotions play into job loss, how to explain unemployment in an interview, and how to know you’re ready to look for a new job. To learn more about Marsha, visit her website here: https://www.careerfactors.com/. You can also find her on LinkedIn here: https://www.linkedin.com/company/career-factors.